Looking for a simple addition to your spring cocktail selection? 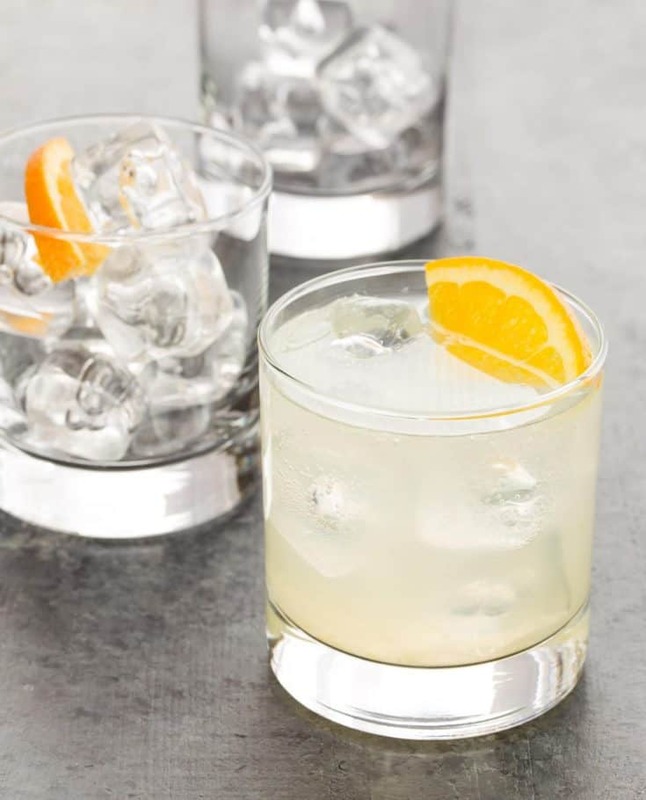 Citrus Gin Sodas are a batch cocktail filled with all of the fresh flavors we love! Gin and tonics are one of my go-to cocktails. But sometimes when I’m having friends over (or a random Thursday), I want to do something a little different without needing to have a ton of special ingredients on hand or spend time prepping things. Citrus Gin Sodas check all of those boxes and are light and refreshing to boot. I love being able to drink something that is a little off the beaten path without requiring a ton of work from Kevin. Because let’s be honest, I’m much more likely to get him to prep a cocktail that isn’t a ton of work, especially during the week. I mean who wants to spend time being bartender when you can relax and read the paper? No one. 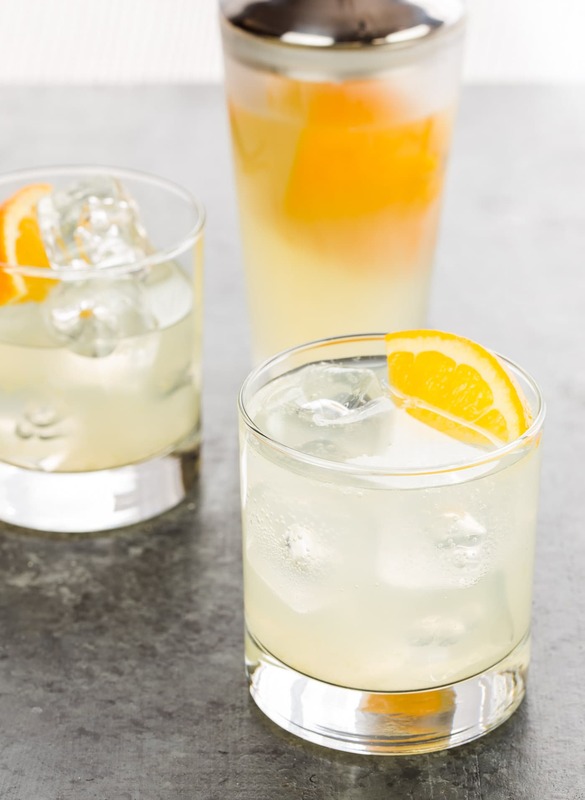 These Citrus Gin Sodas make us both happy. I’m drinking more than just a plain gin and tonic, and he’s not putzing at the bar. Now to get the most flavor in this drink, muddling the orange is critical. If you don’t own a muddler, I highly suggest investing in one. We use it when we make these margaritas and these mojitos. This one is my favorite and works great to release all of the oils from the orange peel which adds great flavor to this cocktail. Tip: If you want a really light, spritzy drink serve these in a tall Collins glass. Making a batch of Citrus Gin Sodas is perfect for happy hour with friends. Strain the gin mixture into a pitcher and store on ice. Friends can serve themselves! Garnish with a slice of orange and you are all fancy on a Thursday. How’s that for easy? Looking for more cocktail inspiration? We’ve got a great cocktail and drink board on Pinterest that is full of great ideas! Check it out and follow us there! Muddle the orange sections in the bottom of a large cocktail shaker. Add ice, gin, lemon juice and simple syrup. Shake vigorously to combine. Strain into pitcher and store on ice before serving. Pour 4 1/2 ounces of gin- juice mixture into a low ball glass filled with ice. Top with club soda and stir to combine. Garnish with orange wedge and serve. These would be fantastic with Tanqueray Rangpur Gin -which has a lot of lime flavors!! Thanks Lisa and Anna I can’t wait to make it! That would be a tasty addition! Cheers! You make me thirsty! I’m gonna make this at my next gathering! Sounds like a great plan! Cheers!